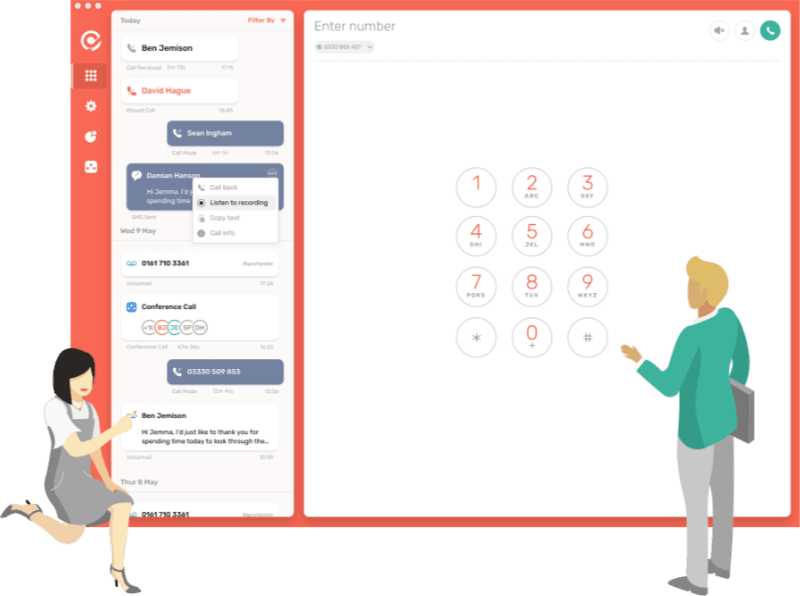 Use CircleLoop’s smart greetings & menus to get your callers to the right person or department, fast. 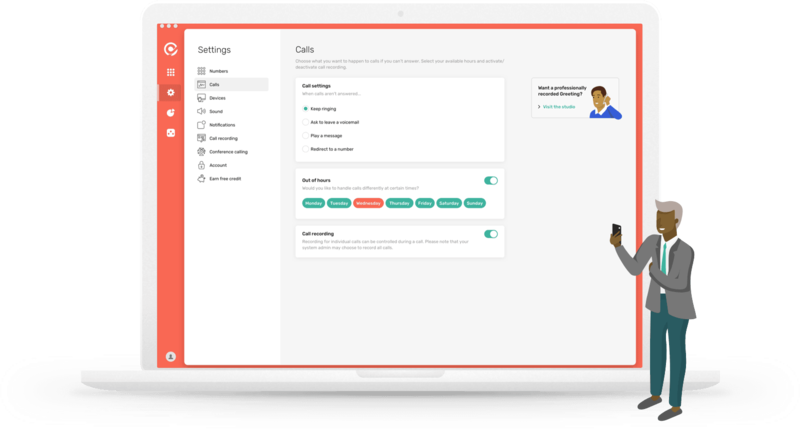 Press 1 for Account Management, Press 2 for Sales, Press 3 for Finance… Our simple self-service settings allow you to instantly configure your inbound call routings. Add a personalised branded greeting and then simply choose which user or team each option should ring through to. It’s literally as easy as 1, 2, 3! Out of hours? Colleagues not available? Didn’t pick up in time? No problem - maintain customer service with smart CircleLoop redirects. 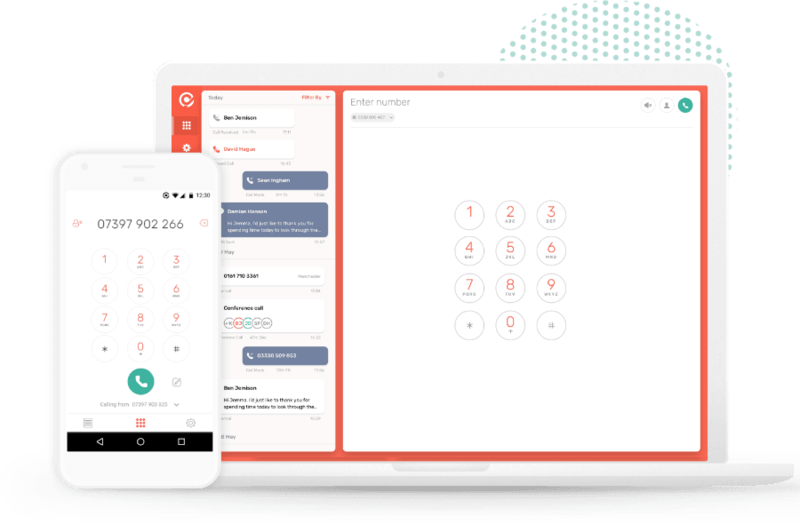 Choose to redirect unanswered calls to other colleagues, teams or even external phone numbers, too.